2015 has brought back trends such as ruffles, bell bottoms and fringe into business. Though never been a fan of any of these trends, I am really glad the classic white pants are making a comeback this season. Tailored trousers, elegant dresses and crisp blazers are making the rounds in runaways as well as blogging circuit. 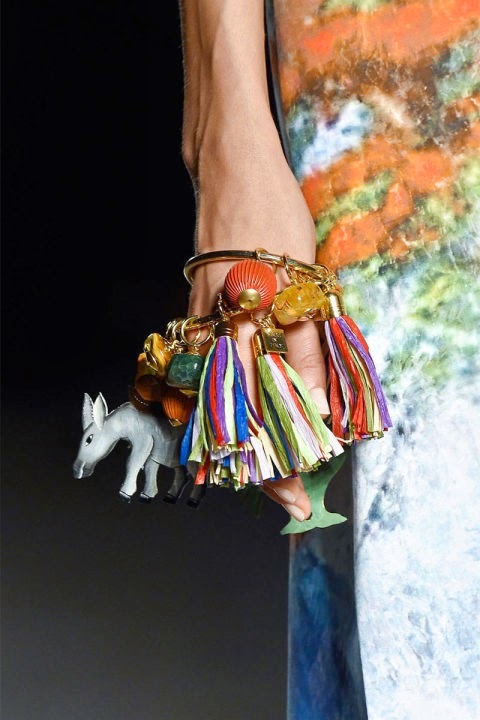 Nevertheless, I am pleasantly surprised with the accessories trends from runaway this season. 2015 marks the return for bold accessories. Be it an estate earring or brass statement jewelry, it is time to unleash the bold you. I always believed that accessories make or break an outfit. Whether you are lounging at the beach, running errands or just chilling with friends, you definitely need killer accessories. Be it a floral cuff to add to ethnic dresses or a floppy straw hat to go with swimsuit find out some of the must have accessories fresh off runway to crank up the wow factor and take your outfits from basic to brilliant with these statement accessories.